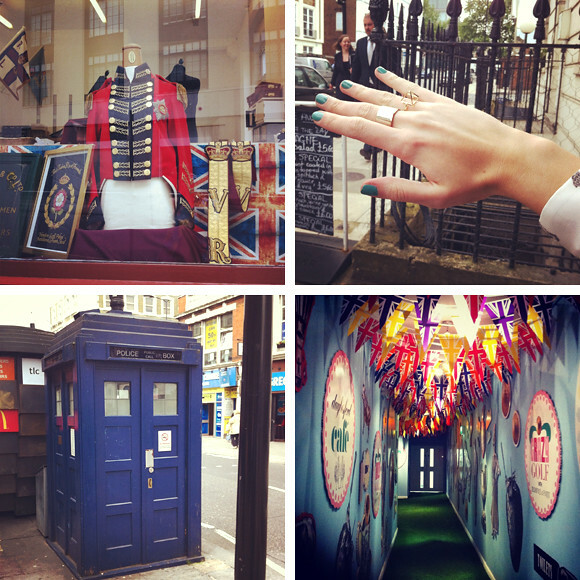 In July, we went to London. Rain or shine, we had a great time (and that was a rhyme, oh God, sorry!) 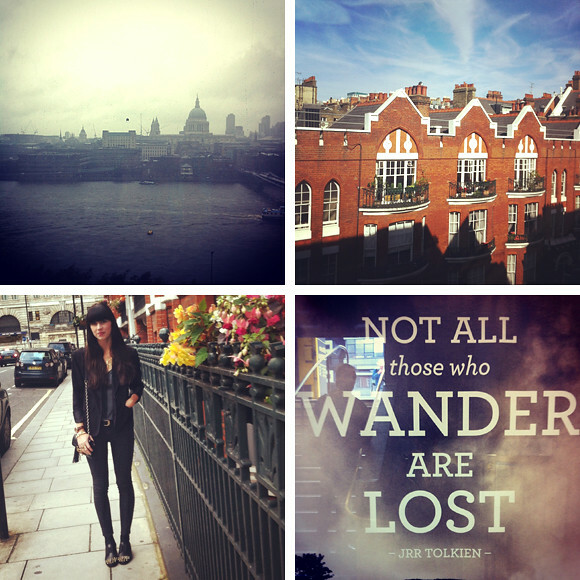 We stayed in a beautiful street near Baker Street and I even found some J.R.R. Tolkien reference on the tube! I found this amazing military style jacket but it was not for sale! I did buy a nice pyramid ring at Topshop, though! We also found The Doctor’s TARDIS near Earl’s Court (he must’ve parked it there because he wasn’t at home) and had champagne on the Selfridges Rooftop at night! 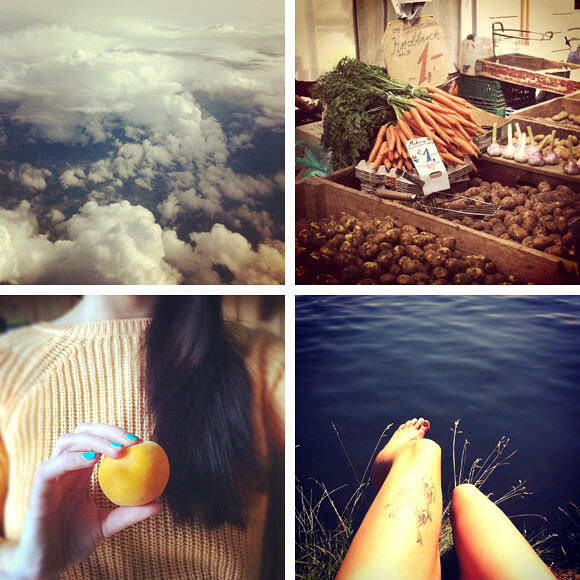 Then we went back to Germany, I went to the market in Hannover where my parents live, bought some lovely peaches that looked so nice with my pullover and fingernails and upon arriving in Berlin, we finally went swimming at the lake! 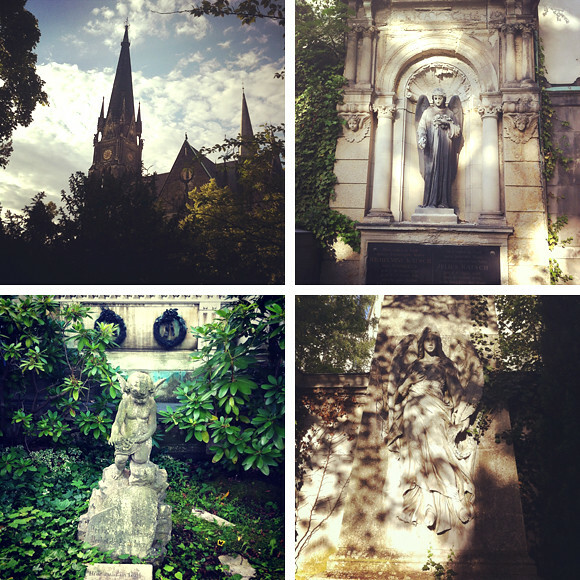 I also took some pictures of the cemetery in Kreuzberg where we so often take nice walks. The angels there look amazingly beautiful – in a dark and mysterious way! 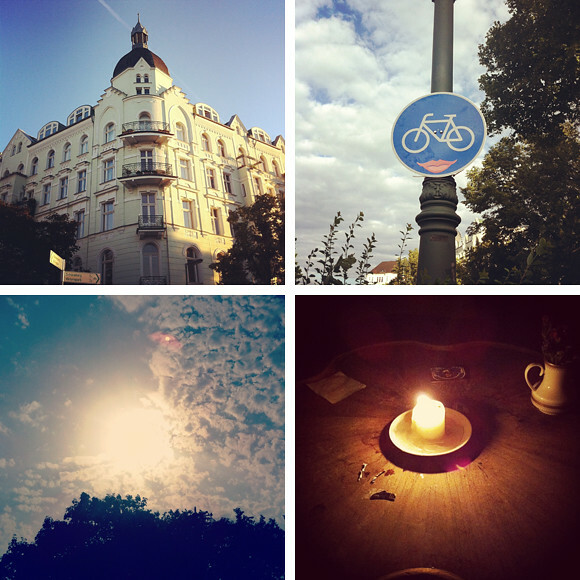 Berlin Kreuzberg of course has got even more lovely spots! 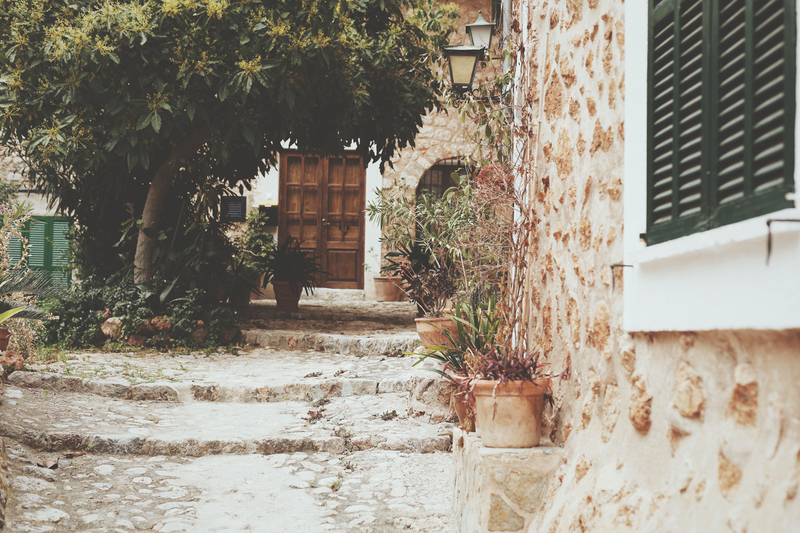 I wish I lived in that house, it’s wonderful! 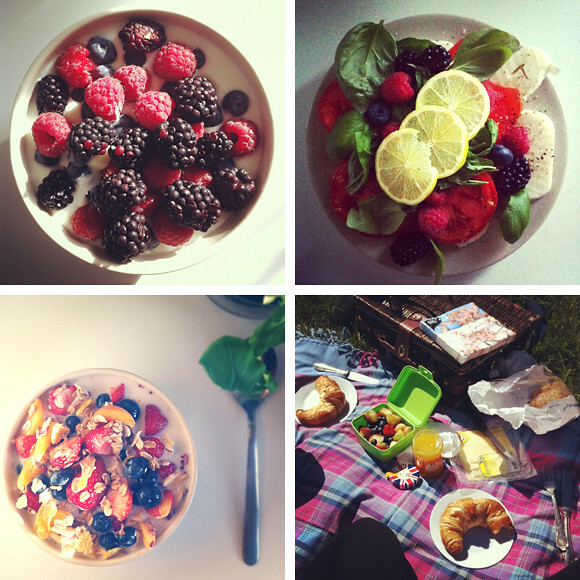 In summer, fresh fruit is always on my plate for breakfast, lunch and dinner! And if it’s sunny out, why not have a little picnic?! I hope you enjoyed this month’s recapitulation of my life through Instagram. If you’re still not following me there, feel free to do so @rickylilly. Check my blog if you want and you can take part to my contest about blog headers too!you look very creative person! Vielleicht schaut ihr mal bei mir vorbei! Ich habe einen neuen Blog.